Who knew buying a vehicle could be so easy? Work with a trusted professional who works closely with you to not only save you time, hassle and money! But works on your behalf to ensure you get the best deal possible. Step 2: Choose your new vehicle. Identify the best options for you based on your specific needs. LA Auto Consulting will work directly with the dealership and can access any make or model and all rebates or incentives that apply. Step 3: Sign and drive away! LA Auto Consulting takes care of everything. Locating, Negotiating and Delivery to your door step. "I met Leon Broussard, LA Auto Consulting, at the credit union Auto Buying Workshop in January, where we learned a great deal about the do’s & don’ts of auto buying. Leon found me options and it only took two days from beginning to end! Leon alleviated all of the stress of haggling, of driving around to dealerships, and he did all the negotiating. Leon saved me time by picking up my new car from the dealership; he then drove through traffic to deliver it to my credit union branch. He walked me through the contracts line-by-line to make sure I understood everything and he spent quality time showing me every button and feature of my new car. I didn’t even know this was possible. On a scale from 1-5, I’d rate Leon a TEN! This experience was a blessing for me." At DriveWise Auto, it’s not just about cars. It’s about the world in which they’re driven! 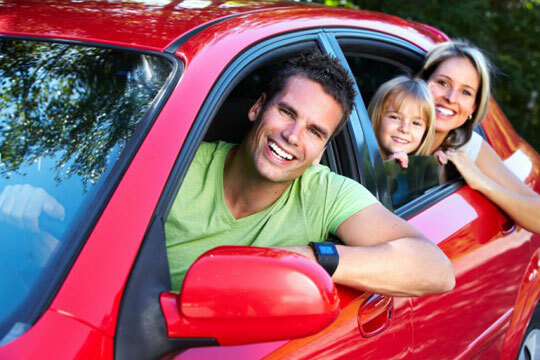 DriveWise Auto makes auto buying and leasing easy, and because we’re Charity Driven®, we’ll make a donation to your favorite charitable organization every time you use our services to take delivery of a vehicle. Let’s face it...vehicles are what get us from point A to point B, but they’re also a product like any other, which makes finding a good price easy for most. What’s not easy is finding a company that offers good pricing AND great service. Through your credit union, you now have access to a company that does both right at your fingertips...no matter what kind of new or used car, van, SUV, crossover or truck you’re looking for. Whenever you’re ready for your next car, reach out to us, and ask for Sheila!